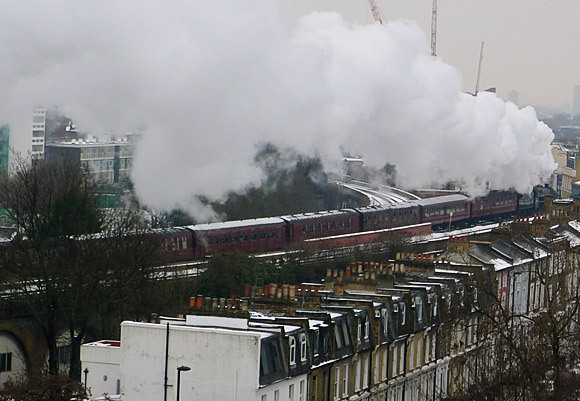 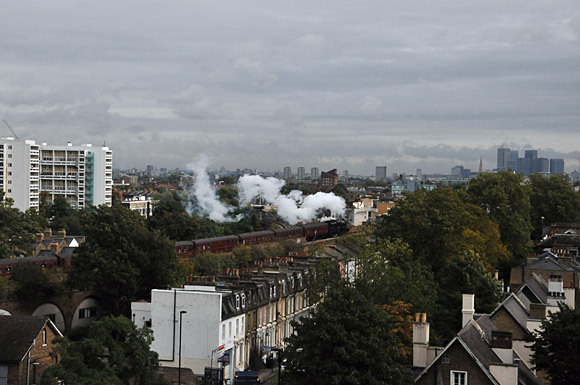 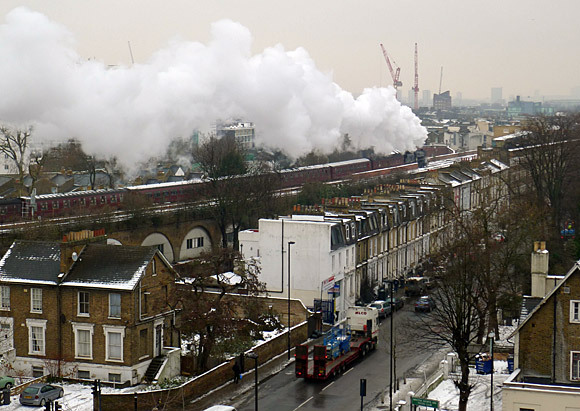 Unfortunately, I didn’t hear the hissing and puffing of this steam train until it had already passed my window, but here’s a few pics for you steam buffs out there. 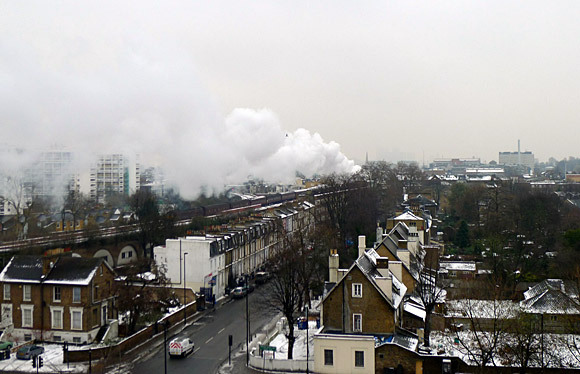 I would have loved to have travelled on this train – what could be better than riding through a snow-heavy landscape with a warm brandy in my hand and a steam engine thundering along at the front! 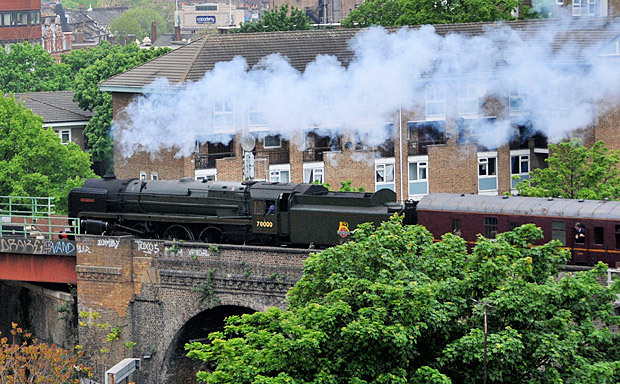 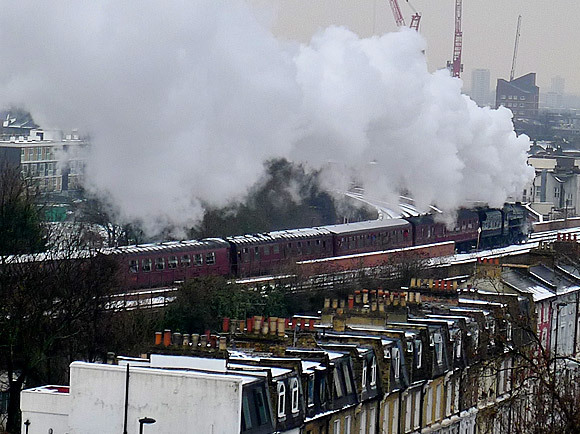 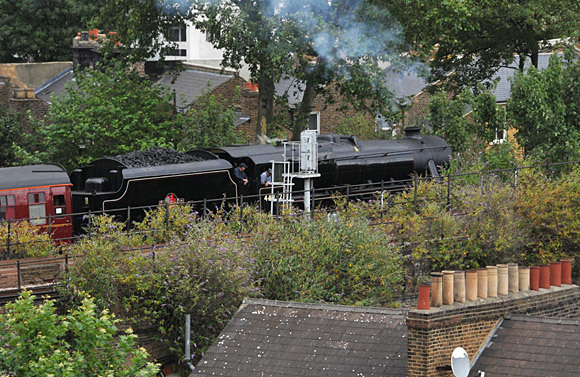 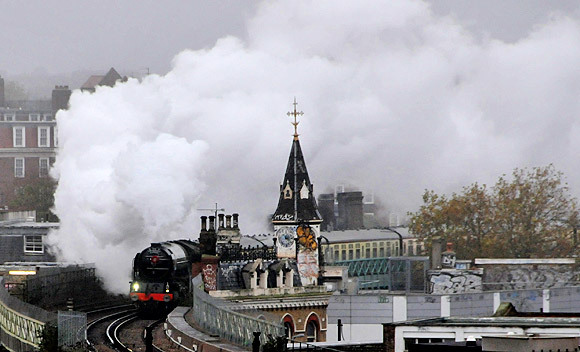 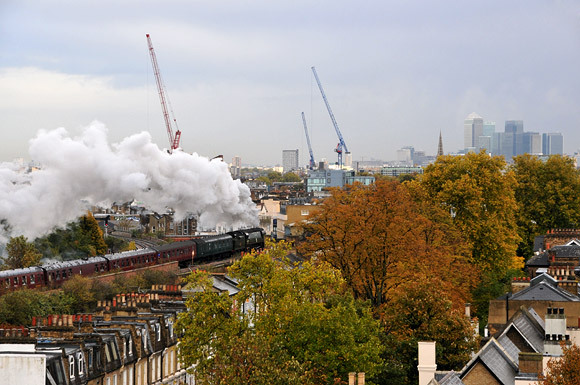 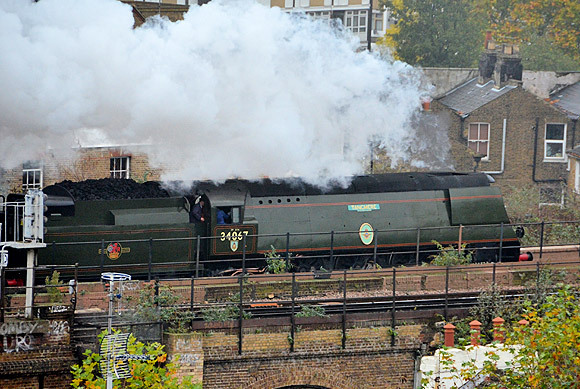 I’ve been reliably informed that the train was the London Victoria-Maidstone-Ashford-Hastings-Robertsbridge-Sevenoaks-Victoria ‘Sussex Belle‘ steam special, which was pulled by a Black 5 locomotive, number 44932. 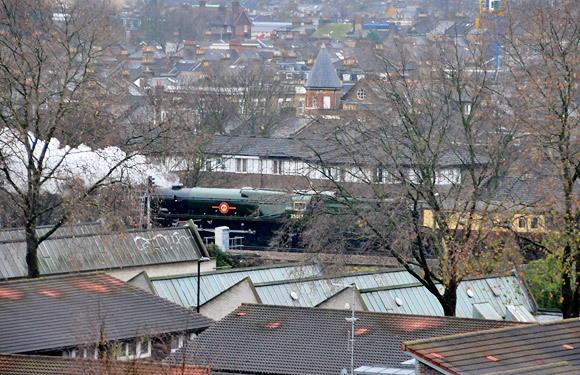 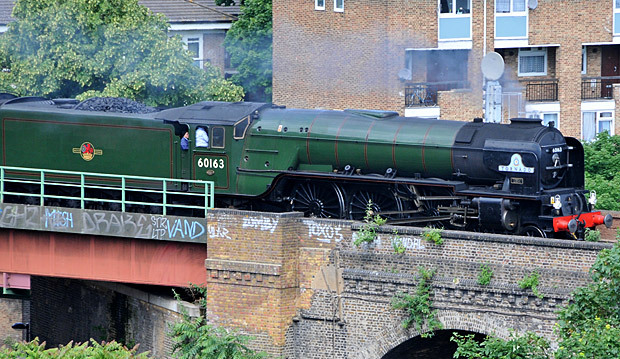 The train disappears towards Maidstone.